Our epoxy flooring contractors in Rancho Cucamonga, CA take pride in delivering high-quality and dependable epoxy flooring systems for residential and commercial customers throughout the city. Unlike some epoxy flooring installers, we use only the best epoxy products and careful preparation of your concrete substrate to deliver beautiful results that hold up against harsh environments and years of wear and tear. Whether you’re interested in transforming your garage with an attractive epoxy flake flooring system or you want to invest in industrial epoxy flooring for your facility, we can help with tailored solutions to fit your needs. Epoxy floor coatings are growing in popularity with residential and commercial customers throughout Southern California. Epoxy concrete coatings are robust enough for harsh industrial settings, attractive enough for a home, and easy to clean and maintain. 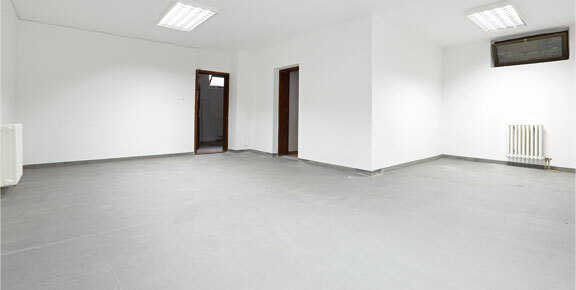 Here are some popular applications for epoxy flooring in Rancho Cucamonga. As one of the leading epoxy floor coating companies in Rancho Cucamonga, we take pride in a job well done. We use only superior 100% solids epoxy products rated for heavy-duty abuse and attention to detail during the installation for long-lasting and attractive floor systems that last. 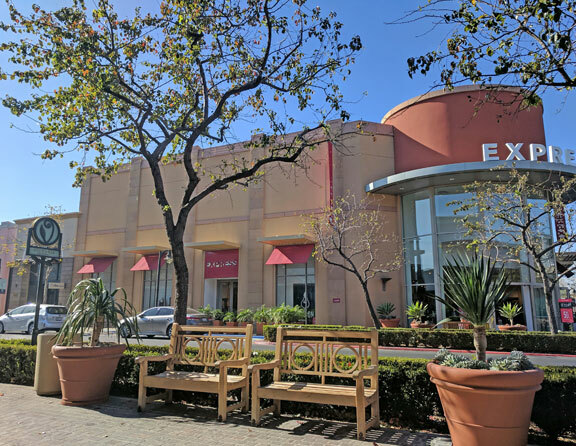 While based in Riverside, we proudly serve surrounding communities like Rancho Cucamonga with epoxy flooring, concrete coatings, and concrete resurfacing services. Located in San Bernardino County about 40 miles east of Los Angeles, Rancho Cucamonga is a thriving city with a population of more than 175,000. While known for its wine, Rancho Cucamonga boasts a diverse economy thanks to its central location near major highways and airports. Rancho Cucamonga is an important center of Southern California’s logistics industry with large manufacturing and distribution centers as well as major retail districts. Rancho Cucamonga has been named as one of the Best Places to Live in the United States and one of Southern California’s Richest Neighborhoods. Epoxy flooring is a liquid-applied system made with hardeners and epoxy resin. When combined, these ingredients cause a chemical reaction that forms a robust plastic material that bonds with your concrete substrate. Our epoxy flooring contractors in Rancho Cucamonga install high-quality epoxy flooring for a wide variety of applications with a combination of industrial-grade epoxy products and thorough preparation of your concrete to ensure a strong, long-lasting bond. We install decorative epoxy flooring like metallic epoxy floors and epoxy flake flooring as well as customized commercial floor systems. Say goodbye to your dusty, stained garage floor for good. With professional garage floor epoxy in Rancho Cucamonga, your garage can finally become the bright, clean space you want for working on your car, hobbies, or storing your belongings. Our epoxy garage floor installers in Rancho Cucamonga use 100% solids epoxy and careful preparation of your concrete to install an incredibly durable yet beautiful epoxy garage floor coating built to withstand anything. When properly installed, a garage epoxy coating can last 20+ years and resist hot tire pick up, abrasion, moisture, gas and oil spills, and other hazards. Tired of your dusty, dark, and musty basement? Ready to see the potential of your basement? A basement epoxy coating in Rancho Cucamonga is an affordable and attractive solution to stop concrete dusting and brighten your basement with a decorative floor that can last decades. Basement concrete floor epoxy is a practical choice that stops moisture from seeping through your concrete. When professionally installed, basement epoxy can last up to 20 years with little care while resisting damage and stains from pet accidents, abrasion, impact, chemicals, and even flooding. Our epoxy flooring contractors make it easy to customize your basement with high-gloss colors, epoxy flake flooring, custom patterns and effects, and metallic epoxy floor coatings. 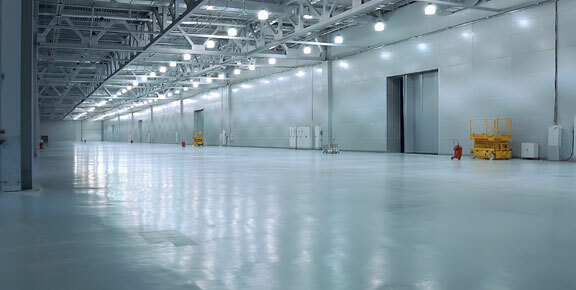 Our robust epoxy floor coatings are ideal for a wide range of commercial and industrial applications. Epoxy flooring delivers a nonporous, seamless floor system suitable for hospitals, commercial restaurants, food processing plants, and other environments with high hygiene demands. Commercial epoxy is also durable enough to handle constant abuse in the form of chemical spills, extreme temperatures, moisture, heavy machinery, vehicle traffic, and more. Our commercial epoxy floor coatings aren’t just durable; they’re also practical, protecting your concrete from damage with a floor system that can last 10-20+ years without showing wear and tear. Contact us to learn more about how your facility can benefit from a tailored commercial epoxy system. Pool deck resurfacing in Rancho Cucamonga is the perfect way to give your aging concrete pool deck the makeover it needs. Resurfacing existing concrete is easier and more affordable than replacing your worn concrete and it comes with almost endless design options to fit your budget. The most straightforward solution is a basic concrete resurfacer that makes your concrete look like new again after repairs are made to the concrete. We can also use a variety of exterior concrete coatings to give your pool deck beautiful new color and texture. 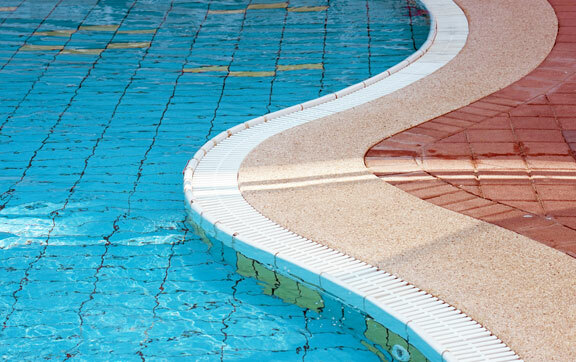 Acrylic concrete coatings are a cost-effective solution to cover minor cracks, add a better skid-resistant texture, and deliver a brilliant new color to your pool deck. Kool Deck coatings are also popular as they reduce the surface temperature of your hot concrete pool deck in the summer. We also offer concrete staining and stamped concrete overlays to dramatically freshen the look of your poolscape. Along with epoxy floor coatings, we install other concrete coatings in Rancho Cucamonga for exterior and interior applications. A clear coat for concrete floors is a cost-effective way to stop indoor moisture issues and protect the concrete from damage. Concrete waterproofing coatings are often recommended for basements. We also install a variety of decorative concrete coatings to give your pool deck or concrete patio a brand-new color, texture, and pattern.